Popular opinion among foreigners that Portugal is a continuation of Spain, is fundamentally wrong, especially when it comes to the national cuisine. If such external attributes as weather, architecture and low paced southern way of life, are really common for both countries. When it comes to food, there is every man for himself, and which country is more delicious is a matter of individual taste. Due to its substantial colonial past, the Portuguese tried to take to the maximum from their overseas territories, and it was not just minerals or gold, but also gastronomic specialties. This trend turned the local cuisine, which was in general quite traditional European, into a slightly exotic one. In addition, access to the incredible expanse of water, made it even healthy. In addition to all kinds of seafood, Portugal has a never-ending affair with potatoes. It presents literally in all dishes, even in the street hot dogs, so it is still a question which nation in the territory of the Old World is the main consumer of "potata" – the Belarusians or the Portuguese. Potato is followed by meat for which cooking techniques are probably as many as inhabitants are. The most popular are beef and pork steaks, which are necessarily served with salads or just vegetables, even if they are not listed in the menu. These were general trends, now let’s spot the key dishes. 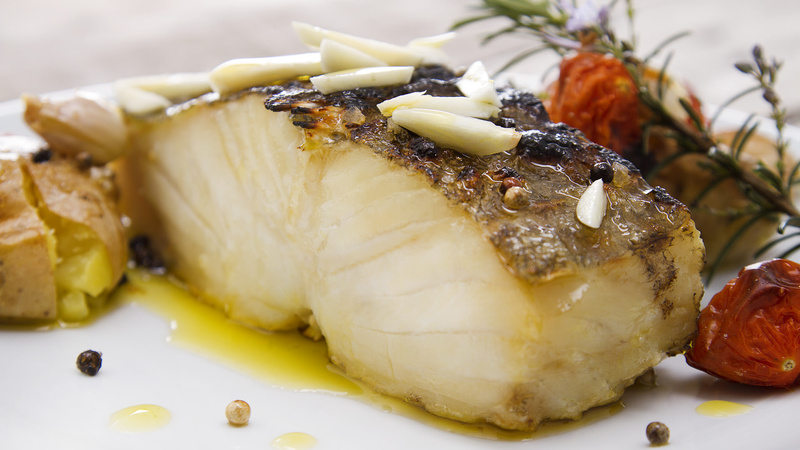 Bacalhau does not only sound nice, but is consumed at an incredible rate. This affectionate name refers to fried Atlantic cod sauteed in a pan along with sweet sauce and onions. It literally melts in the mouth, and it seems that locals can eat it three times a day. It used to be the food of the poor, but nowadays both poor and wealthy people do not deny themselves the pleasure to arrange day of fish dishes. It excellently pairs with a white wine or a green wine Gazella, a white wine so very young that it even slightly bubbles in the glass. And you know it wouldn’t be a Portuguese dish if was not served with potatoes, often straw fried potatoes. 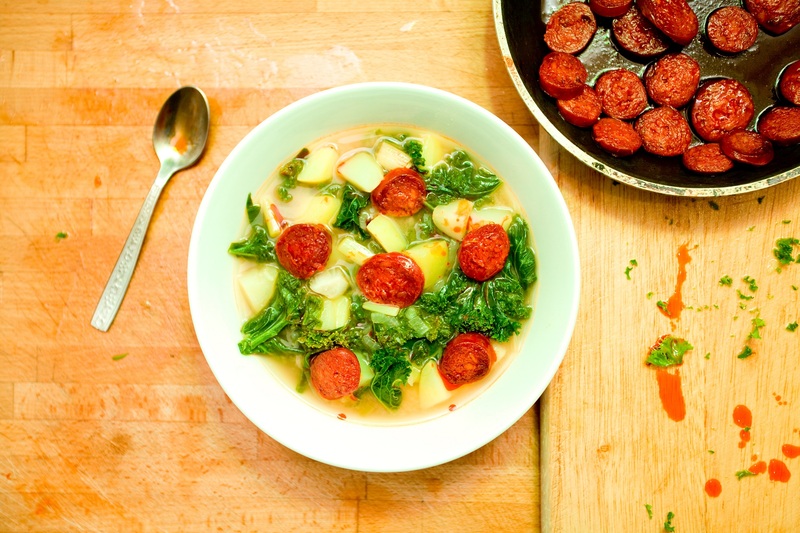 Another dish Portuguese fondness for with is boundless, is a traditional soup caldo verde. Its ingredients are cabbage, onions, garlic, choriso sausage contributing to a piquant taste, and, of course, the ubiquitous "potata". It is served in small plates since in Portugal the first course is rather an appetizer, warming the stomach before something substantial, so to be able to eat something else, you will have a little soup both in a cafe and at home dinner. 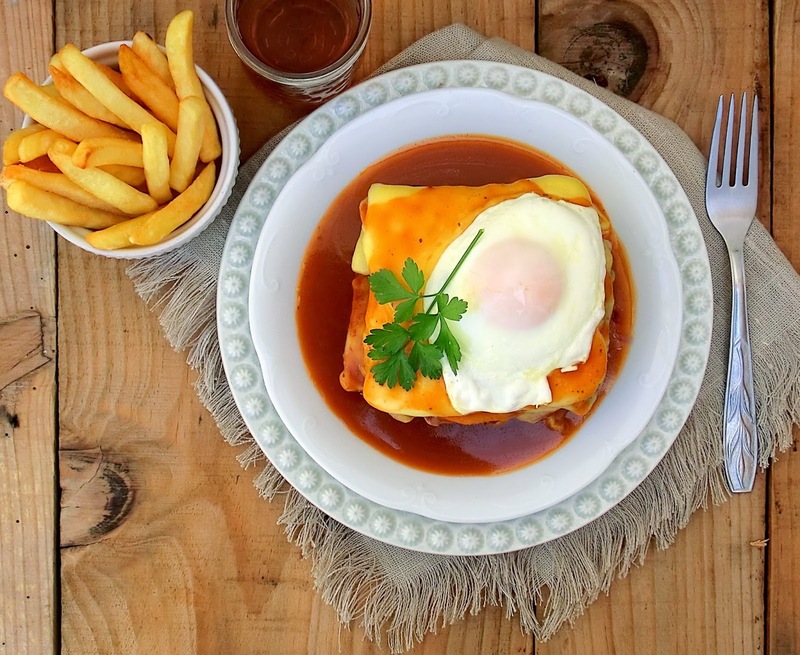 Probably the reason for this is its majesties francesinha - a giant sandwich, which can be enjoyed only in the northern regions. 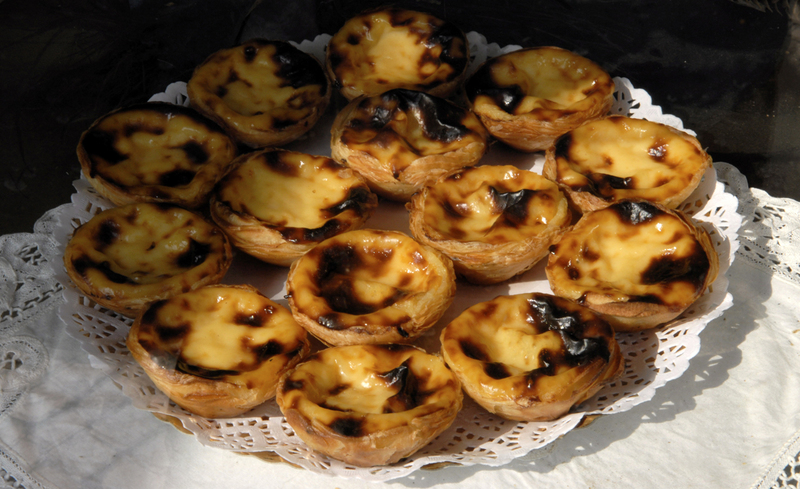 If you get to Porto or its surrounding area, you cannot avoid tasting it. It is said that when the Portuguese were fighting in Africa with the French for colonies, as a victory they received not only the territory, but also an incredible dish that you can safely order to share for two, because if you take it to pieces, you will find that it contains a whole arsenal of nutritious components. Two pieces of crispy bread, between which there is a tasty steak decorated with ham on both sides, this core is drenched with cheese, egg and hot sauce. Most often served with a portion of you know what, this legacy is certainly aimed for those having a true desire of exploding. Porto-based cafe Santiago is considered a place of worship in this respect. There you can get either by appointment or after staying in a queue, but you will have to wait up to half an hour and in the evening even longer. However, it is worth it. 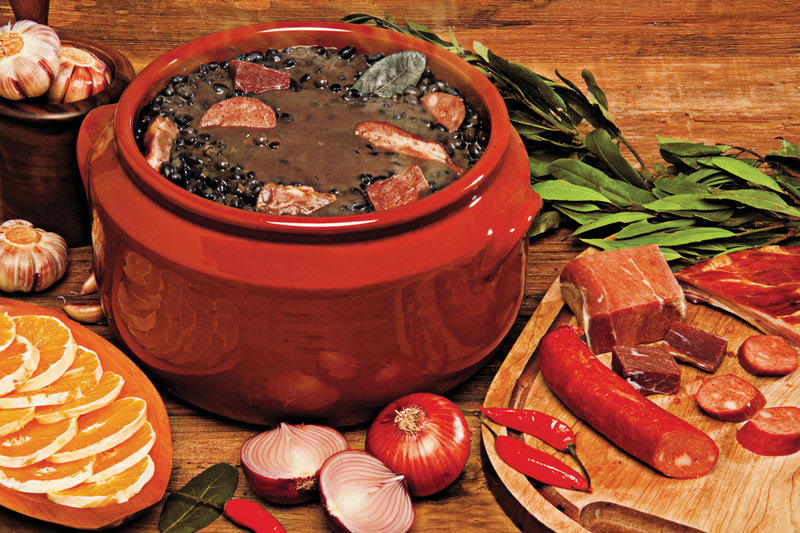 The next day you will want something a little lighter, and then the perfect choice is feijoada, which came to Portugal from a faraway Brazil. To describe it briefly, it is beans-and-meat stew, but it cannot be described so briefly since foodies salivate just thinking about it thanks to Latin-American spices and cassava flour. This stew is baked in a clay pots and is finished up with oranges and pepper. Having decided to try it, just do not shout its name on the street, because the word "feijoada" is a slang designation of black slaves. One of three Portuguese has African roots. The general review of Portuguese cuisine shows that it is firstly associated with satiety. The local cafes are not places just to spend time there, visitors have to eat. Nevertheless, stylish conceptual pubs where people meet to talk over a cup of delicious coffee, are nested in bohemian areas of Lisbon and Porto. Though, for the most part, cafes and restaurants are the places where the Portuguese are led by their stomachs, so you can safely go to any cafe, even the most unpretentious in appearance. At first sight it will be surprising that in 90% of cases, you will not see neither salt, nor pepper, nor napkins in the table, but there is so much olive oil and vinegar that one can even drown, the decanters are already waiting in the table. The local waiters are completely unobtrusive, so if you have decided on the dish, it is advisable to call them, because they will not run up every minute irritating the client. The same goes for used plates, when you have finished some dish, you need to ask to remove the plate, otherwise it will stay on the table. As for prices, for 15-20 euros you can have a fine lunch for two, drinking a lot of wine or port wine. Locals consider it as a strong drink, so they drink it not from the wine glasses, but from a vessel looking as mixture of ordinary glass and shot glass; and it is consumed just a little and as one for the road. 40-50 euros is the price for the dinner with delicacies: crab, lobster and oysters at an elite restaurant. In general, tourists, especially those from cold countries, after some time, give up cafes in favour of supermarkets, because there you can buy ready-made and chilled seafood just for peanuts as by European standards. Thus, you can grab king prawns at 10 euros per kg, and arrange a picnic enjoying mesmerizing views. It cannot be other way here.